This is the beer that inspired a new generation of ale drinkers. 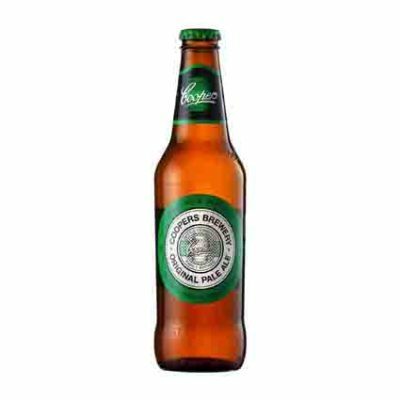 With its fruity and floral characters, balanced with a crisp bitterness, Coopers Pale Ale has a compelling flavour which is perfect for every occasion. Naturally fermented in the “Burton-upon-Trent” style, a secondary fermentation creates the trademark sediment that gives ‘Pale’ its fine cloudy appearance.